The PiCar-S is an open source robot learning kit on Raspberry Pi, and this deal even includes your own Raspberry Pi 3 board. 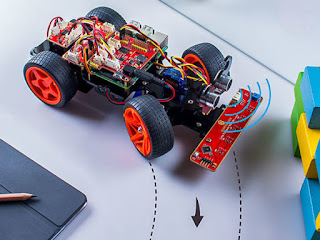 With three sensor modules including ultrasonic obstacle avoidance, light follower, and line follower, you can develop a better understanding of how to program the car's controls. This fun, family-friendly educational experience is a whole lot more interesting than that RC car you were thinking about getting.